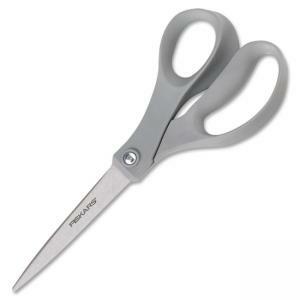 Contoured scissors are specifically designed for completing office tasks comfortably. Use these all-purpose scissors to cut papers, boxes and more. Hardened, stainless steel blades deliver superb cutting performance. Straight handles are ideal for everyday use. The plastic handles are made with recycled material.